The Best Moments From Parts UnknownThe finale of Anthony Bourdain’s seminal food and travel series airs this Sunday. 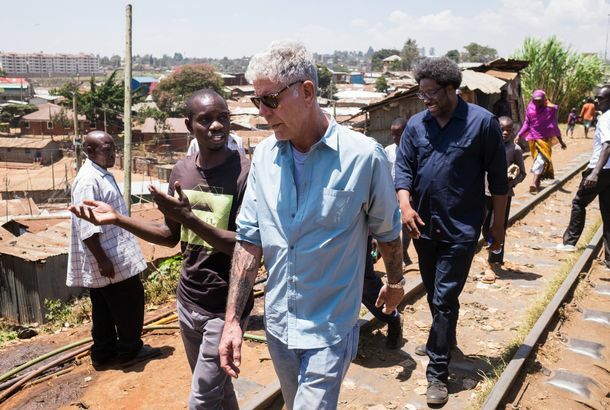 Anthony Bourdain and Parts Unknown Won 5 More EmmysAnd another went to its online spinoff Explore Parts Unknown. CNN Will Release an Anthony Bourdain Documentary in 2019The network is in preproduction on a film about the TV host’s life. CNN Announces the Final 5 Episodes of Parts UnknownThey will cover Kenya, the Texas and Mexico border, Indonesia, the Lower East Side, and Spain’s Asturias region. Bourdain’s Parts Unknown Earns 6 Emmy NominationsIncluding nods for Outstanding Writing and Outstanding Informational Series or Special. French Autopsy Finds No Drugs in Anthony Bourdain’s SystemThe results come two weeks after the food-world figure’s death. Anthony Bourdain Has DiedThe reported cause was suicide. Anthony Bourdain Banned From Azerbaijan for Visiting Disputed TerritoryHis name joins a blacklist of 700 other activists and officials. Anthony Bourdain Finally Eats Through Queens on This Sunday’s Parts UnknownIt only took nine seasons. 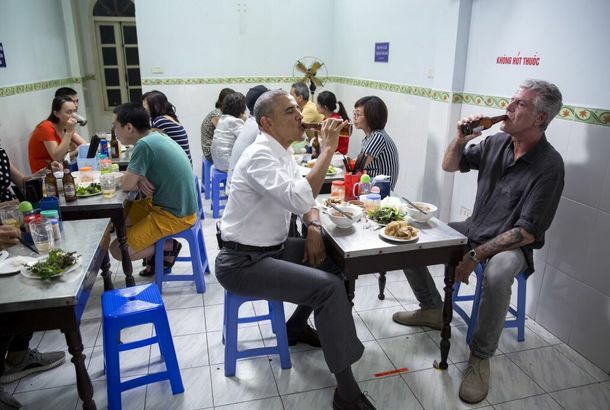 Watch President Obama and Anthony Bourdain Slurp Noodles in VietnamThe meal will be featured on the next episode of Parts Unknown. Anthony Bourdain Keeps His Emmy-Winning Streak AliveParts Unknown has won at least one Emmy every year since it debuted. 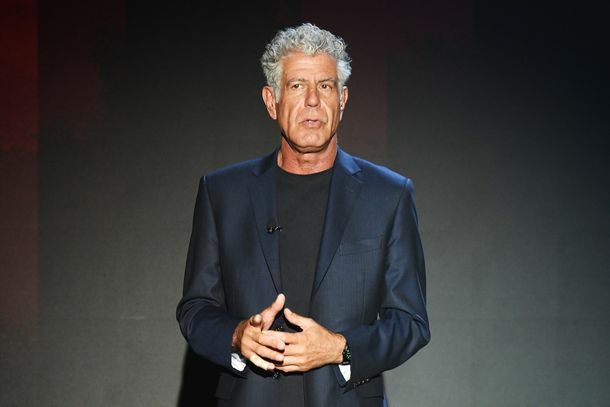 Anthony Bourdain Snags More Emmy Nominations, Continues to Conquer WorldHe’s been nominated once again for outstanding host for ‘The Taste,’ and ‘Parts Unknown’ is up for four awards, too. What to Order at 188 Cuchifritos, the Ultraporky Bronx Restaurant From LastSlow-cooked shoulder, fried belly, fantastically chewy tongue, hog maws, and blood sausage, coming right up. Anthony Bourdain Plans Get Jiro Follow-up, PromisesHe’s got TV, film, books, and food halls covered for a while. Third Season of Anthony Bourdain’s Parts Unknown Premieres AprilVegas and Northern Thailand will be covered. Anthony Bourdain’s Souvenirs Are Much More Interesting Than YoursTony went to Libya, and all he got was this piece of a dictator’s house. Parts Unknown Renewed for Third SeasonTony’s leaving on a jet plane. He’ll be back with new stuff in spring 2014. Bourdain’s Parts Unknown Wins Two EmmysThe show won awards in the cinematography and informational series categories. Anthony Bourdain Got Knocked Down a Few TimesHe gets knocked down, but he gets up again. Anthony Bourdain’s Parts Unknown Will Roll Out Second Season inNorth Korea did not make the cut. Anthony Bourdain Won’t Be Pulling a Rodman Anytime SoonMaybe for the second season? Bourdain’s CNN Show to Be Called ‘Parts Unknown,’ Gets ItsSurprise: It looks a lot like No Reservations.